You Are Here: Home > Big Savings For Uber Drivers! Big Savings For Uber Drivers! Steven Toyota is offering a Toyota Uber Driver Incentive Program from January 3rd, 2019 through April 1st, 2019 for all registered Uber drivers in the Harrisonburg, Staunton, & Charlottesville, VA areas! The time to save is now, so take advantage of this unique program offer today. We have an extensive stock of Toyota hybrid and fuel-efficient vehicles that will cater to any current or future Uber drivers. With your lease or purchase of a new Toyota, you will also benefit from the ToyotaCare no cost maintenance program. No cost maintenance & roadside assistance for 2 years or 25,000 miles, whichever comes first. Toyota is a leader in the hybrid vehicle category and has one of the most diverse lineups of vehicles on the market today. When fuel costs are high to an Uber driver, it’s never good. Lowering fuel expenses and raising MPG is a top priority for all Uber drivers. 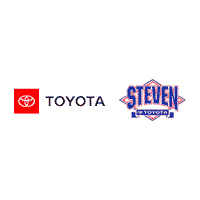 The wide variety of vehicles available for this program at Steven Toyota will be certain to fit your needs. We even have bigger vehicles like the Toyota Sienna available if size is more important than fuel efficiency. In order to qualify for the Uber driver incentive program customers must: Purchase or Lease a New, Unused or Unlicensed Camry, Avalon, Prius Family, Corolla, Sequoia, Sienna, Corolla iM and Yaris iA, Corolla Hatch, Yaris Sedan (as specified above) from ground stock inventory through a participating Toyota Dealer. They must also provide a copy of their Uber Driver Profile page showing an ACTIVE status. The incentive is available to any qualifying Uber Driver with an active status regardless of financing/leasing source. What are you waiting for? The time to get back on the road is now! Come in to Steven Toyota in Harrisonburg, VA today. We serve the Harrisonburg, Staunton, & Charlottesville, VA areas. Make sure to hurry as this program ends soon! For more information please fill out our contact form below or call us at 540-434-1400.